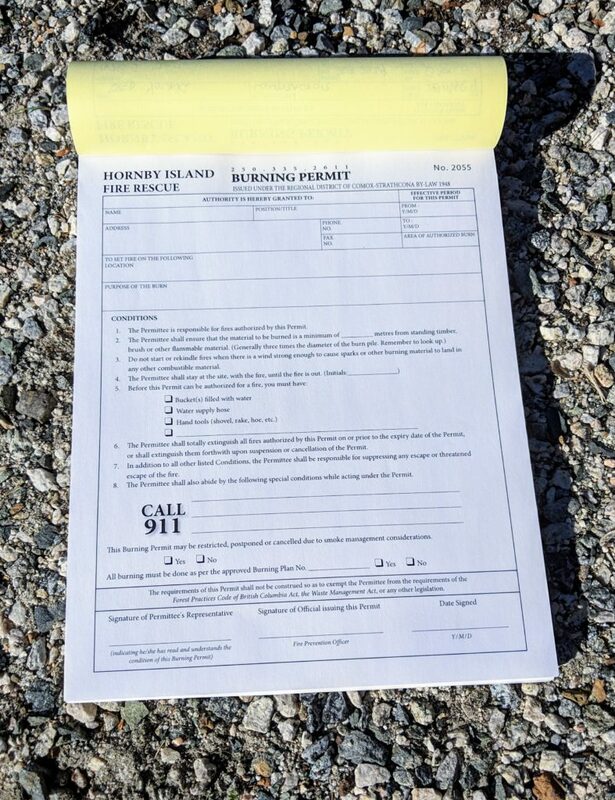 Effective noon on Wednesday, April 3, backyard burning will require a permit. We will write permits on Wednesdays and Saturdays. You can arrange to get one by calling the fire hall at 250.335.2611 and leaving a message if no one is there to take your call. Machine built (category III) burns also require a provincial burn registration number, a machine on site, and a really good water source. 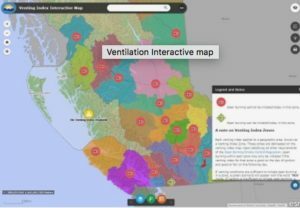 Please keep in mind the air quality problems that we have been seeing in our area and the amount of carbon that is released into the atmosphere when yard waste is burned. Instead, consider composting your yard waste or taking it to The Depot for disposal. UPDATE: This year’s camp is now full. Any new registrations that we get will be added to the waiting list. Thank you for your interest. This year’s HIFR Cadet Camp will take place on Thursday, March 21. This is a one day camp for youth aged 10 to 14. They will learn some basic first aid skills, make an actual call to a 911 dispatcher, use a fire hose, learn how to escape a burning building, and put out real fires with a fire extinguisher. The camp runs from 10 AM until 3:30 PM and lunch is included in the free registration fee. That’s right… the FREE registration fee. We have room for 20 participants. 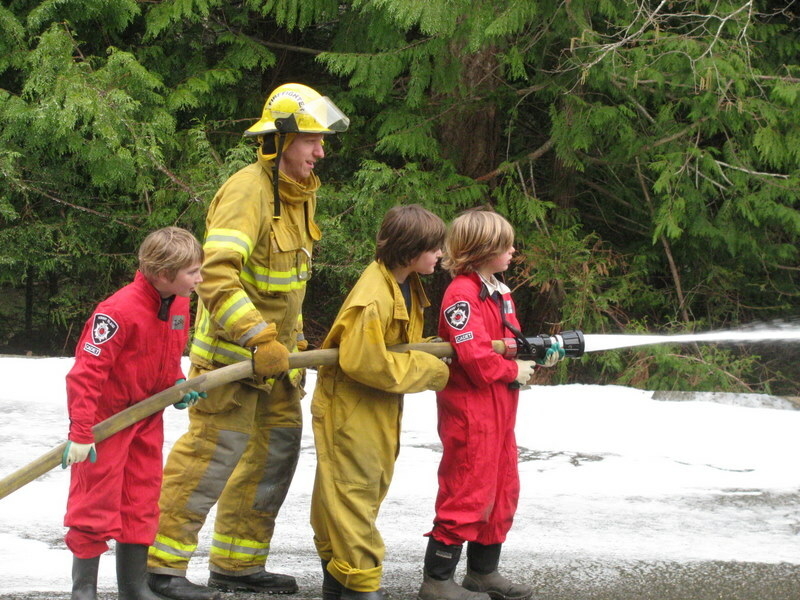 Click here to register online or call the office at 250.335.2611 to talk to the fire chief or leave a message. As is tradition, every year at the very last minute we throw together something and call it “organizing the polar bear swim”. The swim will happen on New Years Day at Grassy Point. We will be hitting the water en masse at noon sharp. We just went and cut up a truck load of cedar mill slabs so we will have a bonfire and hot dogs, but due to the nature of my (dis)organization skills, maybe no chai. Sorry about that. Big thanks to the ISLA board and to Shannon Cupper for the mill slab donation! Today was the second time we’ve been called out in a span of two months for a chimney fires. Fortunately, in both of these incidents, the fire did not escape the chimney and there was no damage to the houses. In both cases, the fires occurred at the bends of the chimney. These are vulnerable points because that is where the creosote builds up. 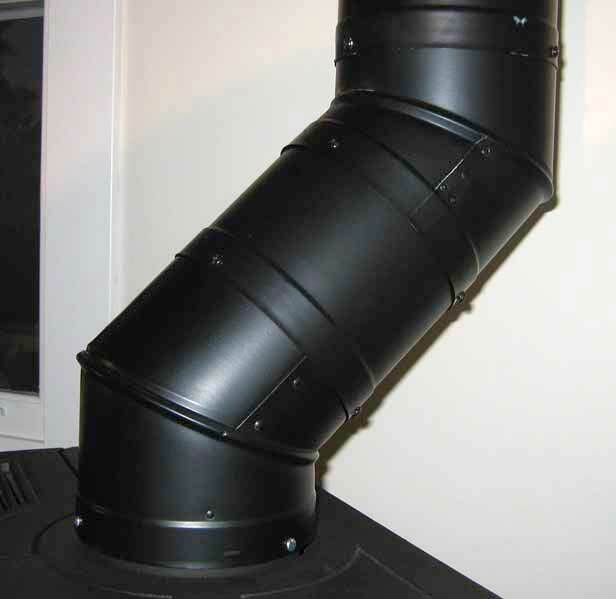 Offset to align wood stove with chimney above. 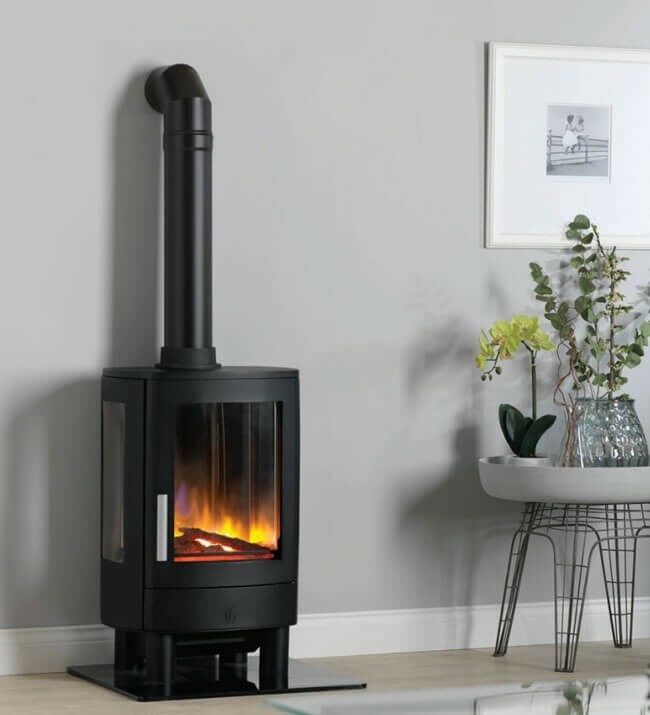 A straight chimney is the ideal situation because it’s easier to clean, has a better draft, and is less likely to build up creosote. In those cases where a straight chimney isn’t an option, frequent cleanings will help prevent a potentially catastrophic fire. If you do have a chimney fire call 911. If it is safe to do so, open the stove, throw 1 cup of water into the stove, close the door, and close the damper. Then leave the house and wait for the fire department to come. 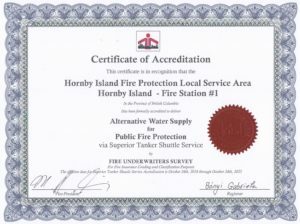 The Superior Tanker Shuttle Service (STSS) accreditation is an endorsement from the Fire Underwriters Survey that a fire department can deliver—with trucks—the amount of water equivalent to a fire hydrant to every house within 8 km of the fire hall. With this accreditation comes an improvement in the home owner’s fire insurance rating to “3BS”. After 10 years of planning and practice we have achieved this accreditation by showing we are able to pump 200 imperial gallons of water per minute for 2 hours. For HIFR this involved using three portable tanks, two water tanker trucks, a pumper truck, 10 personnel, and hundreds of hours of training. In 2015 we told the community that if they built us a new fire hall, we would save them money on their fire insurance by getting the STSS accreditation. Within a year of moving into the new fire hall we successfully challenged the accreditation test and fulfilled our side of the bargain. This is a monumental achievement in the history of HIFR and we are all incredibly proud of what we have accomplished. We are working on an information package for you to present to your insurance company to realize some savings on your premiums. In the meantime, at the bottom of this post are links to letters from the Fire Underwriters Survey that may help inform your Insurance broker. 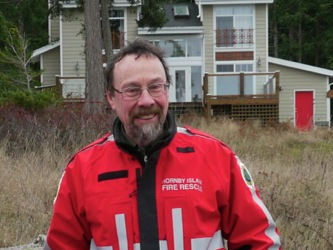 Please feel free to call Fire Chief Doug Chinnery at the fire hall at (250)335-2611 if you have any questions. 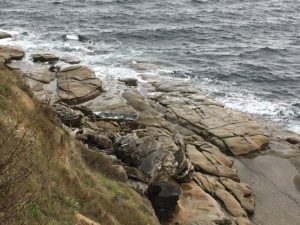 There was an incident just before midnight last night near Mushroom Beach at Helliwell Provincial Park. Two fellows had problems with their boat motor and were just able to limp into the sandstone shelves north of the beach. They refused help from the fire department, choosing instead to weather out the night close to their boat. 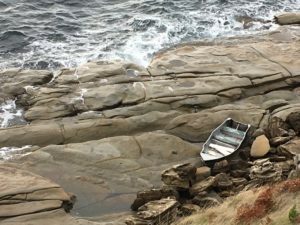 In the morning they discovered their boat had been beat up on the rocks, the motor had come off the boat and sunk, and the gas can was no where to be seen. Apparently wallets, keys, and some other personal items are also sleeping with the fishes, as they say. They arranged a ride off island and assured both me and the Coast Guard Environmental Response dispatcher that their boat was sunken and wouldn’t be a hazard. I had Firefighter Lewis go investigate, and just as I suspected, we now have a tin boat on the shelves near Mushroom Beach. At this point HIFR is “clear of scene” but as a frequent admirer of this stunningly beautiful spot I’m looking for suggestions on how to deal with this. I think that the seats are packed with Styrofoam that will be spread far and wide if the boat breaks up much further. I’m thinking that hauling it up the cliff and disposing of it at the recycling depot is the only environmentally sound method of dealing with it. 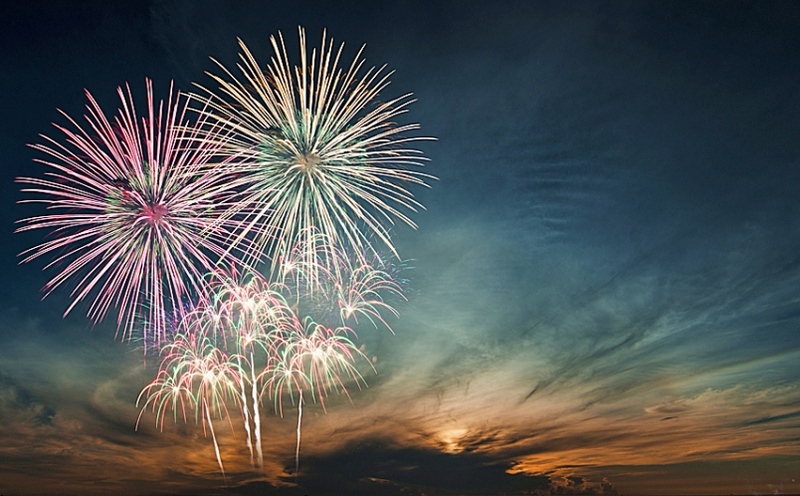 We have the fireworks at the fire hall and HIFR members are getting together on Sunday afternoon to fuse them and get them all ready to go. Weather permitting they’ll be set off at the Outer Island farm field at 8PM sharp. We encourage you to stay outside of the fence and the best viewing area will near the water tank at the corner of Porpoise and Depape.